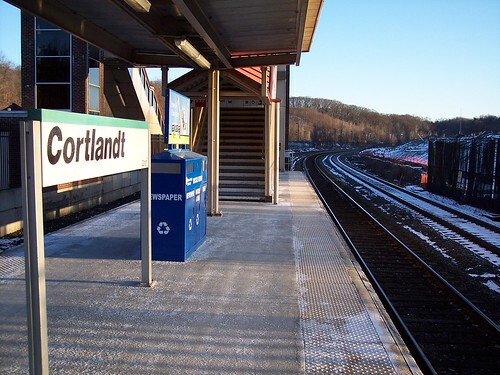 Cortlandt is a relatively new station, opened in 1996. 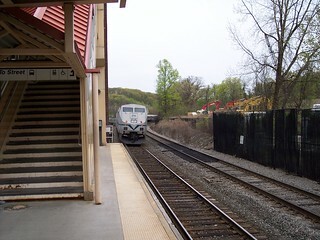 It is a single high level platform between two of the tracks. This is where we ended our first journey on the Hudson Line, starting from Poughkeepsie. 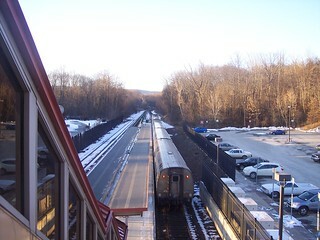 Our Metro-North train from Poughkeepsie departs the station bound for New York (left) and an Amtrak train passes through the station headed for Albany.